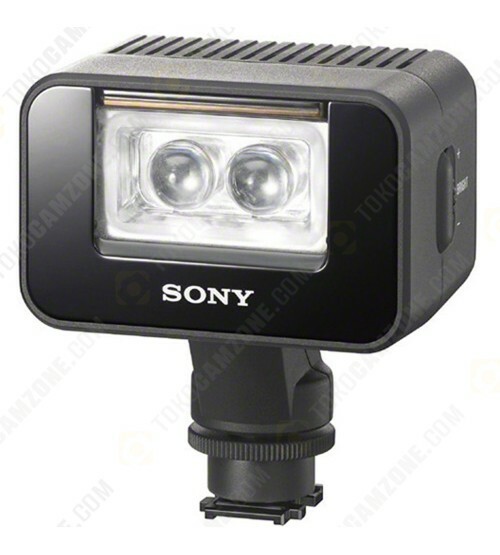 · IR Light with 1500 lux LED at 19.7"
The Sony HVL-LEIR1 Battery LED Video and Infrared Light is compatible with Handycam camcorders and Alpha cameras that feature Sony's proprietary Multi-Interface Shoe (MIS). Because it does not rely on the camera for power, it can also attach to a variety of other cameras using a separately bracket. The 1500 lux LED light provides steady lighting and the built-in IR light works for ultra dark settings. You can control brightness with a conveniently located dial as well. It's powered by two AA batteries and even includes an amber colored filter for more versatile shooting options. Not compatible with the legacy Sony Active Interface Shoe (AIS) hot shoe. Requires Multi-Interface Shoe (MIS) or a separately available bracket or adapter.